Surprisingly, learning how to straighten a scoliosis curve is not a requirement in most chiropractic schools, and most chiropractors are not adequately prepared to deal with treating adolescent scoliosis. However, Chiropractors can elect to become trained in bracing and exercise methods specific for adolescent scoliosis, enabling them to provide effective care in the management and possibly reduction, of adolescent scoliosis. Chiropractic manipulation or adjustments. Chiropractic adjustment refers to the art of manipulating individual vertebra, often by hand, to improve the alignment or function of the spine. This often may produce a “crack” sound from the joints, and many know this as “cracking the back”. 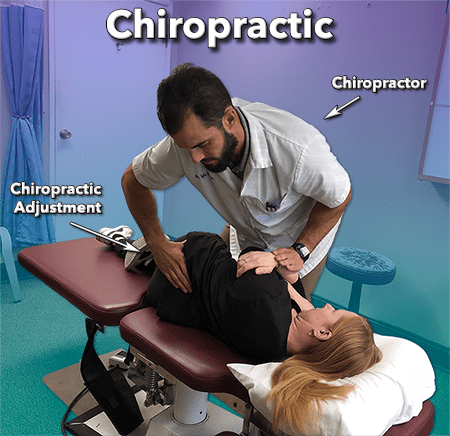 Chiropractic may also be used to describe the general practice of chiropractic, much like the term “medicine” can be used to describe the practice of medicine. The general scope and practice of chiropractic includes more than just chiropractic manipulation. The practice of chiropractic may include exercises, physiotherapy, bracing, orthotic supports and, of course, diagnostics; all as it pertains to neuro-muscular-skeletal problems of the human body. In this sense of the definition, saying “chiropractic” does NOT mean a chiropractic adjustment, but rather the practice of chiropractic as a holistic, non-surgical method for the care of the human body. There lies one more point of confusion with our question, “Can Chiropractic help scoliosis?” The condition of “scoliosis” has many different sub-types, some of which are aggressive, highly deforming and worsen rapidly. Other kinds of scoliosis are benign and stable, tending to stay the same over time, or are even self-resolving. Let’s begin with the broad definition of scoliosis. Scoliosis – Any curve in the spine over 10 degrees of Cobb angle. The above definition of scoliosis does not distinguish between stable and progressive curves. The severity of scoliosis and its tendency to rapidly worsen depends on its causes. For the sake of this article, let’s divide scoliosis into two groups: a group in which scoliosis can be benign and self-limiting, and a group in which scoliosis tends to be progressive and very deforming to the spine. • Short Leg Scoliosis – When one leg is shorter than the other, it causes a tipped pelvis and usually only a small, functional scoliosis. Wearing a heel or full foot lift often solves the problem. 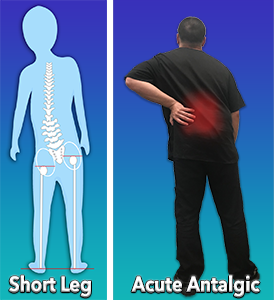 •Acute Antalgic Scoliosis – When someone injures a disc in their back they will lean away from the painful position. Leaning away from pain is referred to as “antalgia”. When acute antalgia results in a curve over 10 degrees, this is referred to as antalgic scoliosis. Typically the scoliosis resolves as the pain alleviates allowing a return to normal posture and alignment. • Postural Scoliosis – Children can appear to have scoliosis due to a wiggly, unstable posture. 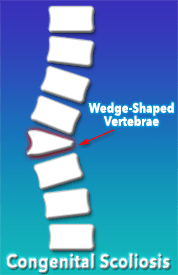 Standing in a shifted or tilted position may result in a Cobb angle measure of more than 10 degrees, but will lack the characteristic 3-dimensional twist of the spine and rib cage. These will often resolve as the child acquires better postural stability or maturity. Chiropractic adjusting can sometimes help a child develop better postural stability, improving their functional, postural “scoliosis”. “Structural Scoliosis” – Aggressive, Rapid-worsening-with-Growth Scoliosis. Structural scoliosis often begins as small, functional curves that rapidly grow into large, structural curves. This can make it difficult to tell the difference between the two types in the early stages of curve development. By the time one realizes that they are dealing with a severe problem, much damage can occur that is difficult to reverse without surgery. • Adolescent Idiopathic Scoliosis Syndrome (AIS) – In growing children and adolescents, a new curve develops which is usually caused by a tight spinal cord. The faster the child grows, the faster the curve tends to get worse. 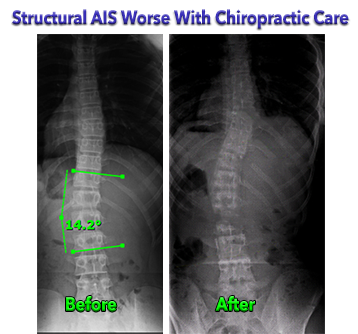 The key difference between just a “scoliosis” (small curve or distortion) and AIS is that AIS will typically grow rapidly worse and includes twisting deformity of the spine and rib cage. 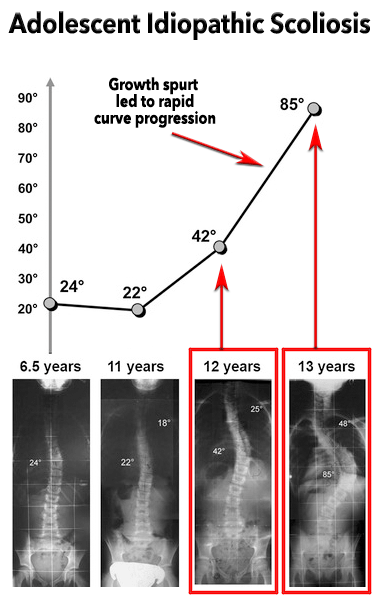 Adolescent scoliosis curves of 25 degrees or more, and with a Risser skeletal maturity below 3, are at high risk for rapid worsening with growth. • Neuromuscular Scoliosis – These are usually moderate to severe scoliosis curves caused by neuromuscular disorders such as cerebral palsy, muscular dystrophy, or any other neuromuscular disorder. This type of scoliosis will usually not straighten in response to chiropractic manipulation. • Congenital Scoliosis. In this type, a child is born with asymmetric bones in the spine or ribcage, causing scoliosis. They may or may not aggressively worsen with growth, but will not straighten in response to chiropractic manipulation. 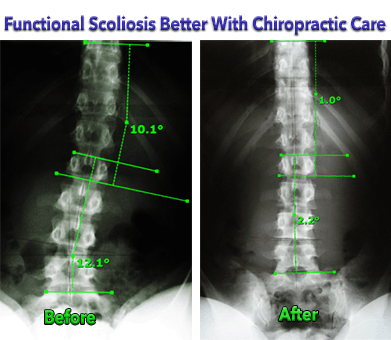 Many chiropractors have experienced the success of seeing a small, functional 10 or 15-degree scoliosis curve dramatically reduce in response to chiropractic adjustments. A chiropractor may lack awareness of the critical differences between functional scoliosis and structural adolescent scoliosis. Past success experienced in treating a functional curve may be mistakenly extrapolated to potential success in treating rapidly progressing adolescent idiopathic scoliosis. 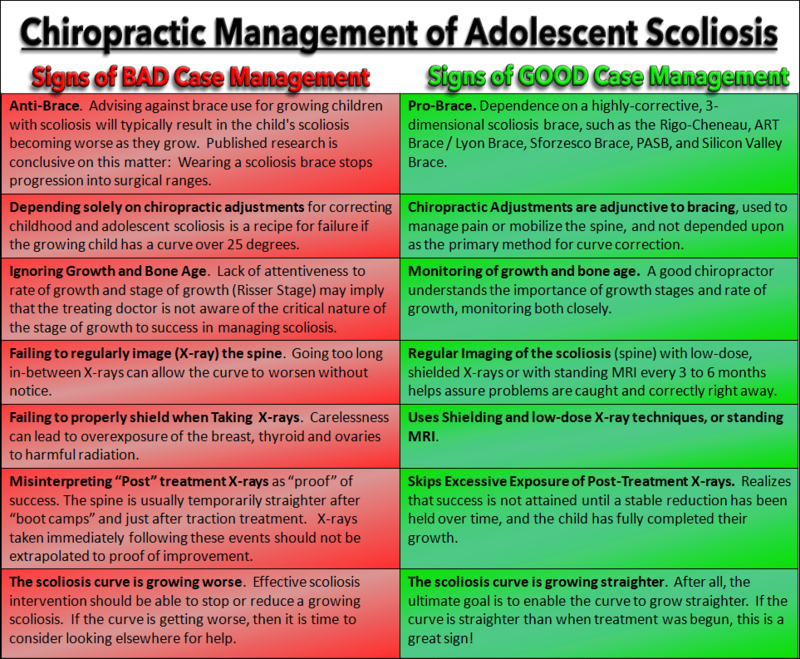 A well-meaning chiropractor may sincerely believe that they can provide the same result for the adolescent idiopathic scoliosis as they did for the functional. Even if a chiropractor is aware of the critical differences between a functional case and a structural adolescent scoliosis, the two can be very difficult to differentiate, especially since the structural AIS case first begins as a small and flexible curve. Structural scoliosis curves, such as AIS, always begin as small curves that appear quite similar in presentation to the benign functional type. Misdiagnosing the type of scoliosis can allow for rapid curve progression into a severely twisted and disfiguring scoliosis. Mistaking the identity of the type of curve being dealt with is a common problem when a growing child with scoliosis presents to a doctor’s office. It can be difficult to tell the difference between a curve that is merely functional and one that is structural and progressive. Both curves were treated without a brace, with chiropractic adjustments and scoliosis specific traction. The functional curve responded beautifully to scoliosis-specific chiropractic adjusting and traction. The Adolescent Idiopathic scoliosis case grew progressively worse. There are 3 basic categories of treatment regimens used by chiropractic professionals when treating scoliosis. They are Chiropractic Adjusting, Scoliosis Specific Therapy, and Bracing. 1. Chiropractic Adjustments (No Brace). Small, functional scoliosis curves in the range of 10-20 degrees may be safe and effective to treat with chiropractic adjustments alone if the patient is not growing. Evidence of effectiveness on treating scoliosis in this range is weak but does exist in the scientific literature.6,7 Adolescent Idiopathic scoliosis, with curve size exceeding 25 degrees in a growing spine, should NOT be treated with Chiropractic Adjustments alone for curve correction. Sadly, these results mirror our past experience in attempting to treat AIS in growing kids without a brace. Our clinical observation found an unacceptably high failure rate when utilizing these methods without a brace in children with growing spines (Risser 0-3). Low Thoracic Apex – When the apex of the curve is below the rigid bulk of the rib cage, greater improvement may be seen as the spine is more flexible in this area. Translational – There is a large shift of the upper body to one side, and the pelvis to the opposite side. Simply centering the body over the pelvis often results in significant reduction of the scoliosis. C-curves, NOT S-curves – Translational S-curves, in our observation, do NOT respond significantly to brace-less treatments. Flexible curves. Many small to moderate curves that are highly flexible and toward the end of growth have good potential for improvement with scoliosis-specific therapy. So, while there has been limited success in treating scoliosis without braces, it is usually in lower-risk cases that are skeletally near maturity. Remember, treating adolescent scoliosis without a brace tends to have a high failure rate; meaning for each success, there are also many failures. If your child has a curve over 20 to 25 degrees and is growing, brace-based scoliosis therapy has been shown to be the most effective. 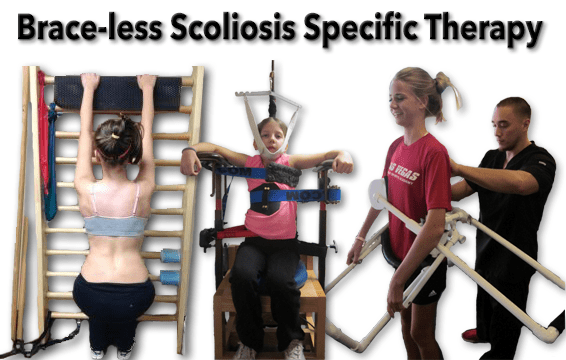 The two most researched treatment regimens for adolescent idiopathic scoliosis are A) Bracing in conjunction with scoliosis specific exercises, and B) Bracing alone; both of which have shown promise. The more corrective the brace and the more the child wears it, the better the expected outcome. Ignoring Growth. The faster a child is growing, the faster the curve may worsen. Ignoring Bone Age. Knowing bone age helps predict future growth spurts. Misuse of X-rays. Misuse of X-ray can occur in a number of ways. Taking numerous X-rays of the spine for the sake of performing chiropractic adjustments may result in excessive radiation exposure, and fail to make any significant difference in the outcome of the scoliosis. Failing to regularly image (X-ray) the spine for the purpose of monitoring the scoliosis is another warning sign. Images of the spine should be obtained typically every 3-6 months of the standing spine to assess the progress of the scoliosis. Treating scoliosis without an X-ray. Obviously, one must see the spine in order to know what they are treating, and if it is responding favorably. Failing to properly shield the breast, thyroid, and ovaries can lead to overexposure to radiation and higher cancer rates. 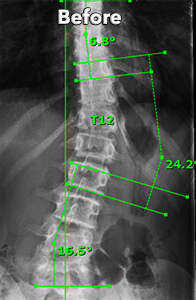 Interpreting “Post” treatment X-rays as “proof” that the case is responding or growing straighter. This spine is usually temporarily straighter after “boot camps” and just after treatment, and results should not be extrapolated to proof of improvement. Regular Imaging of the scoliosis (spine) with low-dose, shielded X-rays or with standing MRI every 3 to 6 months. Results are used to help keep the spine growing straighter. Chiropractors can and should become trained in the utilization of scoliosis braces if they intend to manage conditions such as adolescent idiopathic scoliosis. Utilizing the Silicon Valley Scoliosis Method, a 100% success rate is being attained with scoliosis cases under 25 degrees, and a 95% success rate in treating high-risk cases between 25 and 39 degrees. Some cases as high as the 30’s are able to reduce their curve size to below 10 degrees and become scoliosis-free, which, so far, is the closest thing there is to a scoliosis cure without surgery. McAviney J. Chiropractic treatment of scoliosis; a systematic review of the scientific literature. Scoliosis 2013;8:O15. Romano M, Negrini S. Manual therapy as a conservative treatment for adolescent idiopathic scoliosis: a systematic review. Scoliosis 2008;3:2. Haggard JS, Haggard JB, Oakley PA, Harrison DE. Reduction of progressive thoracolumbar adolescent idiopathic scoliosis by chiropractic biophysics® (CBP®) mirror image® methods following failed traditional chiropractic treatment, A case report. J Phys Ther Sci 2017;29:2062–7. Stitzel CJ, Dovorany B, Morningstar MW, Siddiqui A. Clinical evaluation of the ability of a proprietary scoliosis traction chair to de-rotate the spine, 6-month results of Cobb angle and rotational measurements. Clin Pract 2014;4. Morningstar MW, Woggon D, Lawrence G. Scoliosis treatment using a combination of manipulative and rehabilitative therapy: a retrospective case series. BMC Musculoskelet Disord 2004;5:32. Schreiber S, Parent EC, Hill DL, Hedden DM, Moreau MJ, Southon SC. 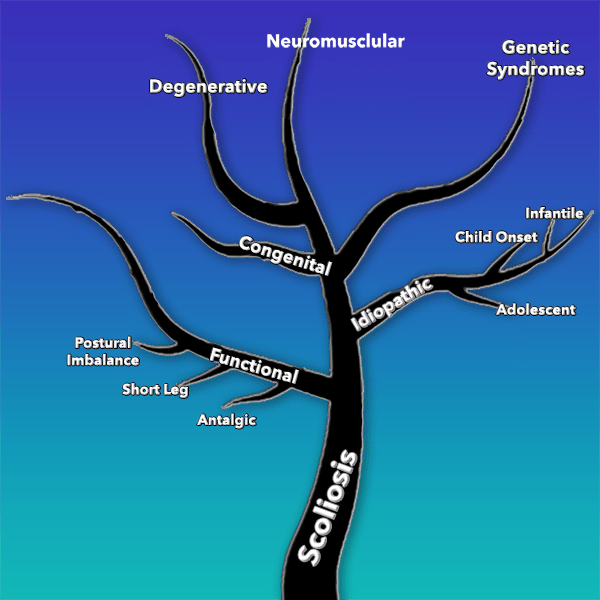 Schroth physiotherapeutic scoliosis-specific exercises for adolescent idiopathic scoliosis, How many patients require treatment to prevent one deterioration? – results from a randomized controlled trial – “SOSORT 2017 Award Winner”. Scoliosis Spinal Disord 2017;12:26.